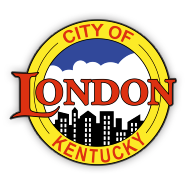 On Friday, Feb. 1st, 2019, City of London Mayor Troy Rudder named Capt. Darrel Kilburn the new Chief of Police following the retirement of Derek House who served as Chief for five-and-a-half years. Kilburn began his service to the City of London as a Police Officer in 2003 and served as Captain for six years. Chaplain and friend to Kilburn, Bob Combs, began the pinning ceremony at London City Hall on Friday with Mayor Troy Rudder, members of the London Police Department, family and friends. Combs prayed over Kilburn for wisdom, guidance and direction. “We have all of the confidence in this man, we know that he’s trained for this job for years. We know he can do it and do it well.” Mayor Rudder said. Darrel stated that he and the London Police Department needs the community’s continual support and prayers.